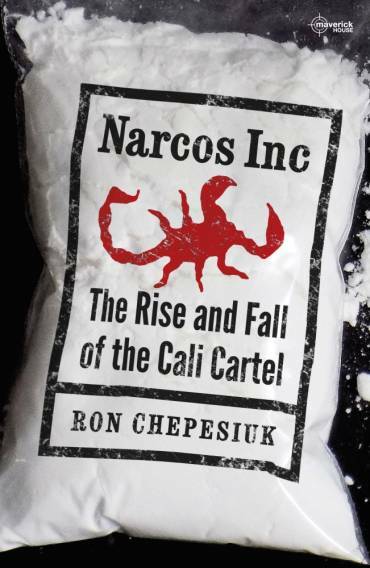 Ron Chepesiuk: Researching Narcos Inc. Readers of my book, Narcos Inc.: The Rise and Fall of the Cali Cartel, ask me how I did the research . My glib answer is: Not easily. My serious answer: with time and patience. I spent several years researching the Colombian drug war as a freelance writer before I decided to do a book on the Cali Cartel. At the time, as a professor at a southern American university, I had a day job that needed my attention also. So the research was going to be slow but steady. There was plenty of information on the Colombian drug trade, but much of it was focused on Pablo Escobar and the Medellin Cartel. After Escobar took on the Colombian in a war of narcoterrorism in the mid-1980s, the Cali Cartel, quietly and low keyed, took over the Colombian drug trade and became the biggest cocaine cartel in history. When Escobar was killed in December 2, 1993, the Cali Cartel became the focus of law enforcement efforts and it was taken down as well in 1995 with the arrest of its major leaders , the brothers Gilberto and Miguel Rodriguez Orejuela. I reported on these events and got many assignments from American and British media sources. I always figured somebody would do a book on the Cali Cartel, but by the end of the 20th century nobody had, so I decided to step forth and take on the task. All journalists are pack rats, and I had already collected a lot of background information—newspaper clippings, magazine articles, Internet sources– on the Cali Cartel. What I needed to do was add more depth and more details to the Narcos Inc. story. This required at least three trips to Colombia to conduct my research. It can be difficult lining up interviews in a third world country, but fortunately I had cultivated source over years in Colombia who were willing to help me. I had journalist friends and a good well-connected friend who owned a restaurant who were willing to help me line up sources for interviews. My wife’s family is from Bogota, Colombia, and members got on the phone and made calls. Once I arrived in Colombia on a research trip, the U.S. Embassy was helpful in arranging interview with American law enforcement officials and diplomats important to the Cali Cartel story. 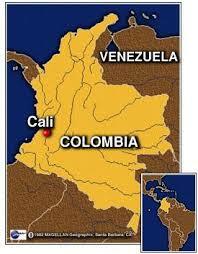 So by the time the time I arrived in Colombia to do my research, many of the interviews had been arranged. In the US, I had DEA and FBI sources whom I had interviewed for my newspaper and magazine stories willing to be interviewed or helped me line up interviews. Most were done by phone. Of course, when you interview someone they always know someone else who should be interviewed and that built up my pool of interview sources. By the time I was through with my research I had interviewed more than 125 people for the book. Of course, using the local library and the Internet were also important for my research. As an academic, I had interlibrary loan privileges, and if the library didn’t have a particular book I needed, I could get the book on loan from practically any library in the US. I submitted a Freedom of Information request to the U.S. government for records, but the response from Uncle Sam came months after I had finished the book. Fortunately, I was able to use court records since the Cali Cartel had been in several legal battles over the years. To use some of the records required special trips to federal archives in New York City and Miami. One can see from this brief roundup of the major sources I used for the book that researching an investigative nonfiction book is not quick nor is it easy. Hopefully, the research has been worth the effort, and I produced a book that readers will enjoy. Narcos Inc: The Rise and Fall of the Cali Cartel is available from all leading bookshops across Ireland and the UK.